Before I get started, the first thing you should know is it’s not time to give up on Facebook. Sure, you may be disgusted with their lack of privacy controls. And you may be annoyed they allowed wholesale scrapping of the data from their site by almost anyone. All that being said and done, the reality is most people would rather give away access to their data then pay for use of a wildly popular platform like Facebook. Sure a few people are shutting down their Facebook accounts, but that still leaves over 1.8 billion people who regularly use Facebook. Is Facebook A Great Place To Find Patients? In the United States alone, there are 214 million users, with many of those being people in your target market. Which would suggest that Facebook should be a great place to find potential patients for your practice. Right? Over 62% of small business owners say their Facebook advertising misses the mark. No practice owner wants to waste money on marketing or advertising that comes up empty. Right? Fortunately for most problems there is a solution and the same is true here. The first thing to understand is that for 97% of practices that use Facebook, it’s not Facebook that is the problem but the rest of the marketing. Let me explain with a food analogy. Imagine you wanted to create the perfect birthday cake. First you’d assemble the ingredients. Then you’d pour the batter into a couple of round baking pans. You’d pop them in the oven and bake them. Once they were done, you’d whip up some frosting and cover the cake with it, maybe adding a few flourishes here and there. To be successful with online marketing first you need to establish your online credibility. Patient reviews are the easiest way to do this. Then you need a website that not only reflects the professionalism of your practice but prompts patients to pick up the phone and call you. Once you’ve got a website that converts traffic into appointments, you’ll want to ramp up traffic to get more new patients in the door. The best ways to do this are with Search Engine Optimization (SEO), targeted blog posts and Google Adwords PPC. Why start with Google Adwords PPC before Facebook advertising? Good question, especially given the cost for a new patient lead from Adwords can run you around $150-300 or more – and with Facebook you can generate a new patient lead for as low as $10. 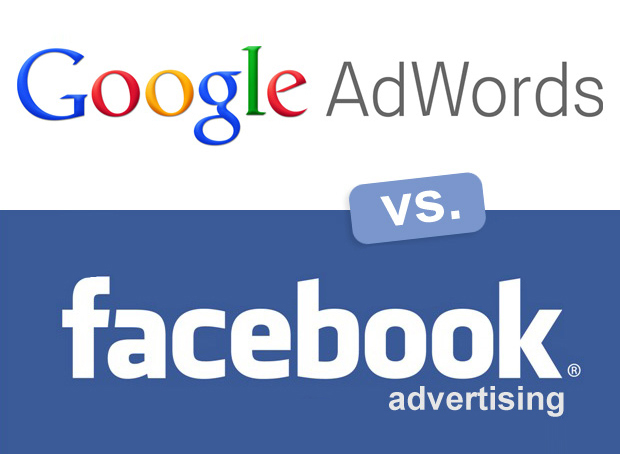 What’s the difference between the leads you get from Google Adwords and Facebook Advertising? Hint: It’s HUGE. The people on Google that find you via SEO or PPC, are searching for a solution. They are looking for a medical practice to help them. On Facebook, they’re browsing their friend’s vacation snapshots. They’re looking for a way to be distracted from their problems, not solve one. How do you think this affects conversion? With Google Adwords, you can pretty much count on getting new patient leads who want to schedule an appointment. With Facebook Advertising, the leads are typically much harder to convert. In most cases, once you get a lead, you’ll need a supremely skilled appointment setter on your team to call the patient. Typically you won’t find them at home or the line will be busy, so you’ll need to work hard to actually get them on the phone. So, while you’re paying a lot less per lead you get from Facebook, you’ll convert less too. When, then, should you use Facebook Advertising? Don’t get me wrong, Facebook Advertising is a great way to attract more new patients. It’s just not the first online marketing strategy you should use, but rather one of the last. Once you’ve got the rest of your marketing and if you still want to do more, yes add Facebook Advertising. Which 5 Facebook Advertising Mistakes to Avoid? The potential for finding new patients on Facebook is big. The problem? The challenges to setting up your Facebook Advertising correctly are big too. If you get it wrong, you’re just giving away your new patient leads to the competition. Not something we recommend. Most medical practices make the same mistake on Facebook as they’re making with the rest of their marketing. They tout their practice, focus on their brand and make it all about themselves. Here’s an example, fill in the blanks with the name of any practice. What’s the problem with this kind of copy? It’s boring! It’s all about the practice not the patient. In truth, patients biggest concern is their needs, and they are looking for practices that are patient-focused not practice focused. When they read a boring blurb like that above, they click away like someone with a peanut allergy avoiding peanuts. Prospective patients are looking for practices that are focused on patient problems with providers they can relate to and trust. On Facebook it’s easy to see how many “likes” and “shares” you’re getting. If you put up a post, you can see these numbers updated by the hour or day. Why does Facebook provide this information? It’s not to help you with your advertising, because it’s useless there. 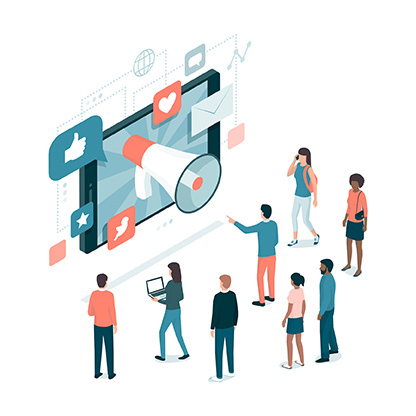 It’s because Facebook knows it’s addictive to watch “likes” and “shares.” People love watching their numbers grow, even if, in reality, those numbers have virtually nothing to do with attracting new patient leads. Facebook is a great place to share photos, funny videos, inspirational quotes, bucket list posts and other stuff tiy think will get loads of “likes” and “shares.” Which is all well and good, and provides an average of 40 minutes a day of distraction for U.S. Facebook users. The problem is the vast majority of this type of content doesn’t help you grow your practice. The goal of any medical practice advertising should be to generate new patient leads. Without this clear goal, most social media advertising, including Facebook advertising can be a waste of time. 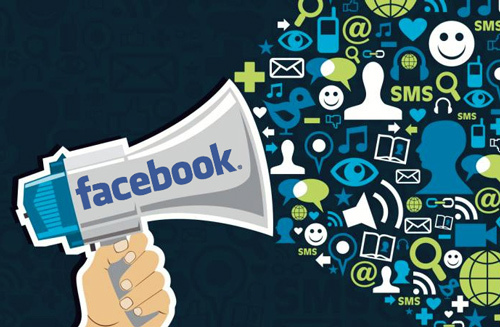 With a small ad spend on Facebook, you can boost your posts so they get more views. In theory this sounds great. The only problem is all this does is potentially focus your ad spend on getting more likes and shares. Which is great if your ego needs a boost, but it’s not necessarily going to help you attract more new patients. The bottom line on boosting posts is it’s a waste of time and money, well depending on how much your ego needs a lift. The strength and weakness of Facebook as a marketing platform is that it has almost unlimited ways to target your audience. Which should be a good thing. The problem is when you actually try to do it. They’re so many variables, it’s easy to mess up and either limit your audience too much or target the wrong one. Hit the wrong targeting options on Facebook and you’ll get a big fat nothing for your time and money. So what actually works on Facebook? In advertising, there is no such thing as a crystal ball. All there are is educated guesses. No matter how smart you are or experienced you are in advertising or clever you are at grabbing ads others are using, no one can predict which ad will work best. The only way to determine which ads will work best to use A/B split testing. E.g. pick two ads, and set them up to alternate and see which one gets the highest conversion rate, e.g. generates the most number of new patient leads. Then take the winner and test it against your next best idea. Keep split testing until you’re confident you know which ads generate the most leads for your practice and your target market. Note, an ad of yours from another town or one you see someone else using in your town, will rarely work as well in a new location or for your practice. The key is A/B split testing and tracking the number of new patient leads each ad generates. You couldn’t win a game of soccer if you didn’t know the rules of the game and the same principle applies to Facebook ads. To run a successful Facebook ad campaign, you have to know and understand the rules. 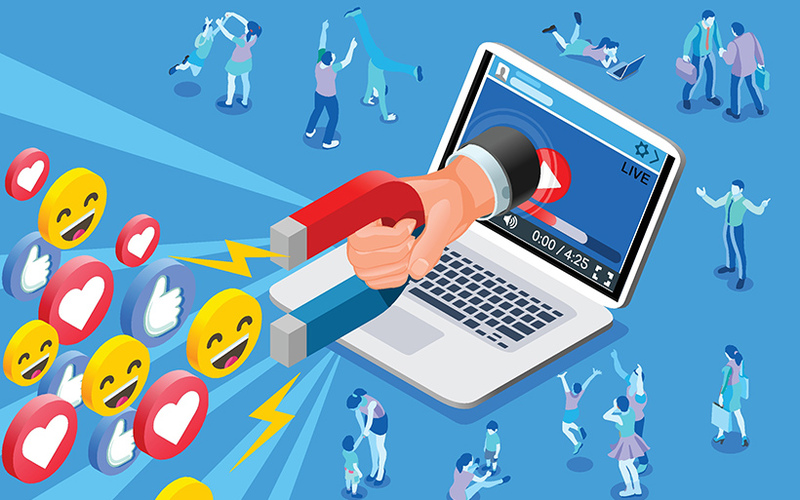 It sounds simple enough, but Facebook has become increasingly strict about what can be marketed on their platform and how it can be advertised. Medical practices, in particular, can find this frustrating as they strive to meet HIPAA and Facebook requirements. It doesn’t help that these rules are continuously changing. What might be ok to run as an ad today, might not be tomorrow. Successful Facebook advertisers stay on top of changes made to Facebook’s advertising policies and understand the impact changes will have on their campaigns. At times, this can mean getting clarification from a Facebook representative or an industry professional. Having access to a network of experience will not only help you “play by the rules,” but it can help you hone ad ideas and improve your campaign performance. Just to review, the first place to start with your online marketing is in establishing your credibility with Patient Reviews, then adding a website that converts traffic into appointments. The next step is to drive pre-qualified traffic using SEO and Google Adwords PPC. Then, and only then if you’re still hungry for more new patients and have a top appointment setter on your team, talk to us about Facebook advertising.